I’ve been on a slide the last few weeks. I discussed with my readers my concern on spending some of my income tax refund. I was afraid that I might lose the momentum I had gained in not spending. Well, I think it’s fair to say that I have lost some momentum. I have overspent for the last few paychecks, and I’m not pleased with how I’ve handled things. Now, I haven’t spent a ton of money. Maybe just $10-$15 more than my spending envelope. But, I have spent more than I was allotted, and the whole point to using an envelope system is to learn how to spend within my budget. I haven’t done very well lately, and that is what is so disappointing. I could try to find a reason why I keep slipping up. And I have a few ideas. But, I don’t have to share those reasons to deal with these slip ups effectively. I do think it’s important to reflect on what “ensnares” us. I’ve done some soul searching about this, and I’ve done some praying. It’s obvious that the years of bad spending habits are not going to change overnight. I still have quite a bit of work to do to control my finances, and it’s going to take a lot of work to remain disciplined. I have to continue to focus on the end goal. I asked my FAP to talk me out of spending my money earlier this week. She asked me where I would like to be in five years. That’s a great question. Where would I like to be financially in five years? I would like to be debt free, living in an apartment closer to work, have my 3-6 months of living expenses saved up in an emergency fund, and be working towards my down payment on my home. Of course, a number of things could happen between now and then to change my five year goals. But for now, this is what I see for myself. So, where do you see yourself in five years? What methods do you use to remind yourself what you should/should not do? I hope my readers who have watched Futurama enjoy the reference to the old man! For those of you who are unfamiliar with the show, there’s still big news to share! My FAP has been offered a job that she’s been waiting for for a LONG time! She’s baited many hooks and had many nibbles, but she finally got one to bite! I am so happy for her. No one deserves this more than she does. She will go far in whatever she does for her new employer, and they are lucky to have her. Oh, the places she’ll go! I will have an opportunity to see if I’ve grown in the way that I think about money. It’s been great having my FAP around daily. It’s almost like Linus with his security blanket. With the new job, I will have to take all the work and training we’ve done together and apply it daily. She and I are still going to discuss my spending and my finances, but my access to her won’t be quite so close. I’m looking forward to the opportunity to see how I’ve grown. My FAP actually works in my office for our budget department. In FPU last week, Dave Ramsey said that people who understand how to manage their money end up managing other people’s money. Well, that’s what my FAP does at work, and she does a great job. Our office will miss her work ethic and her productivity (and her friendship). I have been offered a chance to move from my department to the budget department to help fill her role (as If that’s possible). I am excited for the opportunity because I think it will make me a better employee in the long term. I’m also extremely nervous because it’s a completely new field for me, with completely different policies and procedures, and I just got used to the policies and procedures of my last department! I think it’s a great opportunity for me to grow, though, so I have to take it! There is a major concern for me, and I’m just being honest. I don’t always handle uncertainty well. I have a tendency to take my own feelings of uncertainty and verbalize them to my coworkers. I’ve been very guilty of that in the past. But, God has done a lot of work in my soul, and I believe He will help me handle this transition the right way if I let Him! I have another opportunity to see how I’ve grown emotionally. My prayer is that I will give myself Grace to make mistakes and learn from them. Please join me in those prayers, and feel free to share scriptures with me that may be helpful! I have a longing to mean something to someone. To connect with someone and to trust them. There’s nothing wrong with that longing. As a matter of fact, that longing is placed there by God. God said that it’s not good for man to be alone. He knew we would desire connection, and He created us for connection. This longing for connection and the uncertainty of how to relate to others has often led me to find other ways to fulfill that longing. I’ve often turned to “stuff” to fix my problems. I am an emotional spender, although lately I’ve done a much better job of handling those emotions. If I were to recount all the times I’ve emotionally spent, it would probably discourage me. Could I pay off all my debt? Could I have enough for a down payment on a house? Probably at least one of them. But I cannot continue to focus on my past. I can learn from those mistakes, and I’m certainly willing to do that. I have to focus on my present and my future. I’m so thankful that I am on the road to recovering from the emotional spending that has kept me bogged down for so long. I may not get it right all the time, but I’m growing and learning. Where there is growth, there is life. I believe that I’m on my way, and I’m thankful for all the people who have helped me get here! I am growing and maturing in the way I relate to money, and I’m also maturing in the way I relate to people. My relationships are richer now. My heart is fuller. And my relationship with the Lord is stronger. God is good and faithful to me. I’m so thankful that He hasn’t given up on me, even when I wanted to give up on myself. In what ways do you handle your emotional tendencies? I’m not the biggest Star Wars fan out there, but I do enjoy the movies. My favorite episode is Empire Strikes Back. My Financial Accountability Partner (FAP)’s husband shared a quote with me from the movie, …”you have taken your first step into a larger world,” and I responded with my own quote. He said that I must unlearn what I have leaned if I want to control my finances. And how true is that? I went through adolescence and most of my adult life living paycheck to paycheck (and still am currently). I didn’t care about saving. I only cared about spending, and boy did I enjoy that! But, if I want to give like no one else, as Dave Ramsey says, I MUST unlearn what I’ve learned about money these last 20+ years. So, how do I do that? Well, to unlearn something, I have to learn something. The best way I know how to learn something is to immerse myself in the subject matter. Writing this blog helps me to do that. I’m always thinking about what I can write about, and I know that I better have positive reports for all my readers out there (all five of you). Believe it or not, making my bed helps me to do that, too. I think about my finances every time I make my bed! It’s a great way to start my day! I also think reviewing my spending with my FAP keeps me immersed in my financial health. She will not let me get away with anything! And I’ve tried to sneak some things by her. She’s not having it. I’m glad she’s not either. When I spend money, I ask myself what she would say. It really makes me think about what I’m doing with my money! Reading books is another way I can unlearn what I have learned in the past. I am currently reading Necessary Endings by Dr. Henry Cloud. The book talks about how to handle the various types of endings we encounter in life and reminds me that endings are truly a necessary part of life, even if they are painful. I’m also reading Complete Guide to Money by Dave Ramsey. It’s the handbook for Financial Peace University (FPU). I’ve only read the first chapter, but I’m looking forward to reading it. I think it will help me gain even more understanding of how to handle money and finances. Speaking of FPU, I attended my first class on Monday. I had heard or read some of the information before, but I really enjoy how Dave teaches his lessons. He’s humorous and down to earth and loves the Lord. A perfect combination. I’m looking forward to next week’s lesson! I was a little discouraged after the class. They did a group snapshot of everyone’s financial situation. I have more debt than the class average. Hearing that was a reminder of the mess I got myself into. BUT I also know I can get myself out. And all this immersion will be helpful. Woohoo for the hope to accomplish my goals! I also realized that while I may have been using a decent budget, it is incomplete. I have a car maintenance line, but it’s not extensive enough. I need to modify my budget to include unexpected car repairs. I also need a more complete beauty care line. I should include haircuts and makeup in that line on my budget. The good news is that I can adjust my budget at any time, and I’ve already done just that. I am so thankful that I am able to make changes to my budget. I’m also thankful that I can make changes to my behavior. And the best way for me to change my behavior is to unlearn what I have learned. So, how do you learn/unlearn? I always find it interesting to see the change process for people. When I reflect on where I was before I met the Lord and where I am now, the results are staggering! I still can’t believe it sometimes. I am so thankful the Lord doesn’t require us to change all at once. He can do that in our lives for sure, but He doesn’t require that from us. He loves us enough not to overwhelm us. And He also loves us enough to require change from us! But “No temptation has overtaken you but such as is common to man; and God is faithful, who will not allow you to be tempted beyond what you are able, but with the temptation will provide the way of escape also, so that you will be able to endure it.” (1 Corinthians 10:13 NASB) whatever change God requires from us, He will also provide us the means to endure it! So, I find myself ready for the next change in my life, and I believe that change is a financial change. Perhaps (and probably so) I’ve ignored God’s prompting to change the way I spend and save. I was like my Foxy with her bones. Driven by my own fleshly desires and unable to see the big picture. I still have those moments of weakness. As I write this, I am contemplating whether I should have spent that money for snacks tonight while I watch a movie. But, I’m contemplating a $3.50 purchase instead of a $35 purchase. One way that I can tell I am changing is how I rejoice for the good fortunes of others around me. 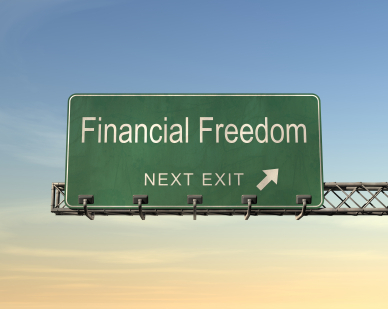 A friend of mine, who taught the financial workshop I have mentioned before, has taken a leap of faith. He has left his job for another job that will pay him less money. But it’s something that He loves, and He will be serving the Lord while he does it. Last week, God honored that sacrifice. My friend posted that he and his family had received six financial blessings in one week. How incredible is God?!?!?! A few years ago, I would have probably been jealous. But now, I stand and celebrate with my friends. They’re very deserving of the blessings. What’s most exciting is that we don’t have to deserve it for God to bless us! Another friend of mine received a job offer she’s been waiting on for quite some time. She’s been so perseverant, and I’m thrilled for this opportunity for her. It’s a promise that hard work and diligence pay off. I’m sure there are other testimonies of God’s blessings and favor. Please feel free to share some in the comments section!